The non-contact liquid level sensor utilizes advanced signal processing technology by using a powerful chip with high-speed operation capacity to achieve non-contact liquid level detection. No contact with liquid makes the module suitable for hazardous applications such as detecting toxic substances, strong acid, strong alkali and all kinds of liquid in an airtight container under high pressure. There are no special requirements for the liquid or container and the sensor is easy to use and easy to install. 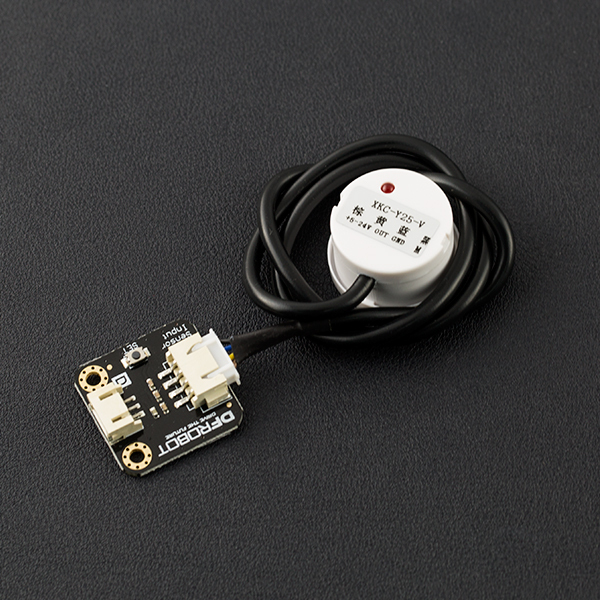 The liquid level sensor is equipped with an interface adapter that makes it compatible with DFRobot "Gravity" interface. There are 4 levels of sensitivity which are set by pressing the SET button. 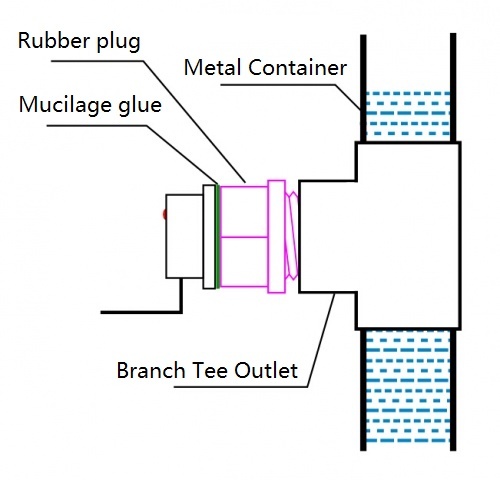 If the liquid level sensor detects the liquid level, it will output HIGH and turn the LED ON. If no liquid is detected it output LOW and turn the LED off. Q What is the sensor working principle? 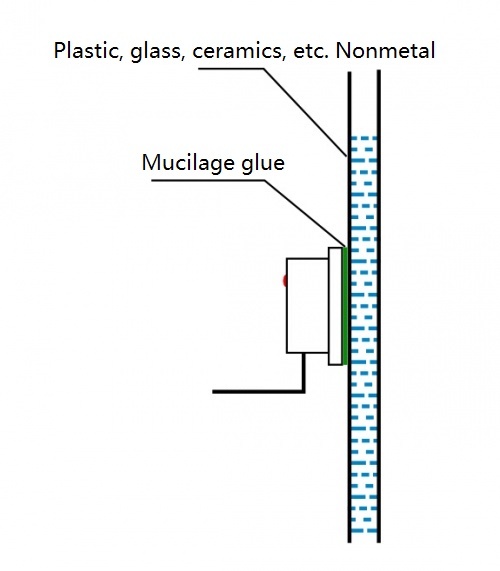 A Its working principle is to use the water sensing capacitor to detect whether liquid is present, in the absence of liquid near the sensor, since the presence of distributed capacitance, and therefore there are some certain static capacitance to ground on the sensor, when the level was slowly increased and close to the sensor, the parasitic capacitance of the liquid will be coupled to the static capacitance so that the final capacitance value of the sensor becomes larger and the changed capacitance signal is then input to the control IC for signal conversion, converting the changed capacitance into the amount of change in the electrical signal, and then by a certain algorithm to detect and judge the degree of this change, when the amount of change exceeds a certain threshold that means the liquid level to reach the induction point. 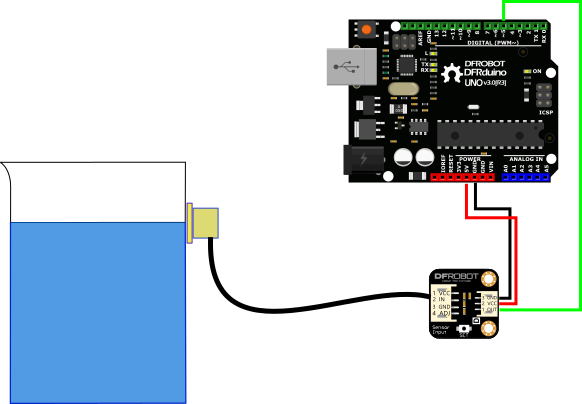 Get Gravity: Non-contact Digital Water / Liquid Level Sensor For Arduino from DFRobot Store or DFRobot Distributor.